More layoffs are coming to Iowa’s largest manufacturing employer, Quad Cities-based John Deere, this time hitting the Waterloo operations. 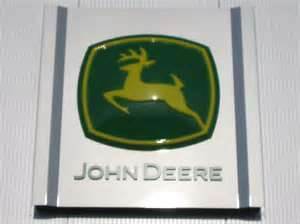 Deere and Company announced Friday they will put 460 employees on indefinite layoff. Deere spokesman Ken Golden says it’s in response to Deere’s third quarter earnings announcement and the resulting current market demand for its products. Deere had announced layoffs of 600 employees last week at several of their other facilities including Des Moines, Moline and East Moline, Illinois, and Coffeyville, Kansas. The layoffs at the Waterloo operations will go into effect on October 20th.